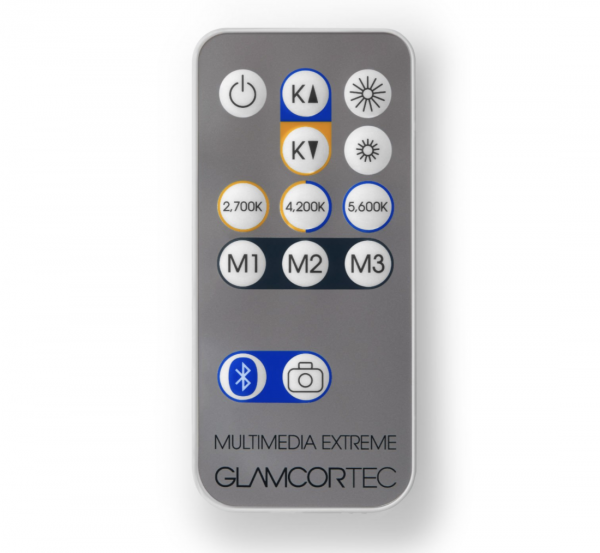 The GLAMCOR Multimedia Extreme with Selfie Function is our most technologically advanced lighting product to date. 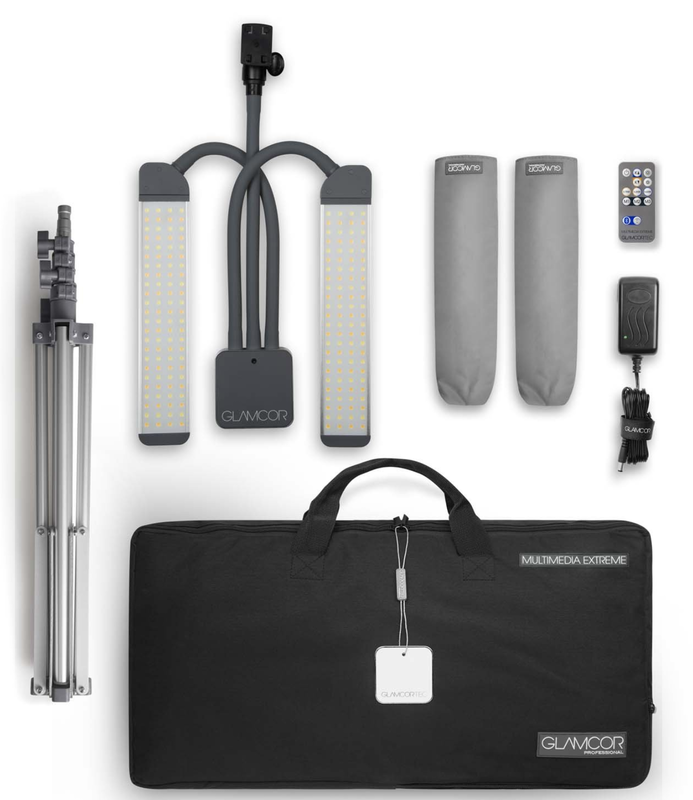 With color temperature adjustability, remote control, and an array of accessories for all devices, you’ve just met your new, personalized and portable Fashion looking LED light studio! Our Bluetooth Selfie Function allows you to pair your Smartphone to the light, enabling you to take hands-free selfies or photos using the included remote control. 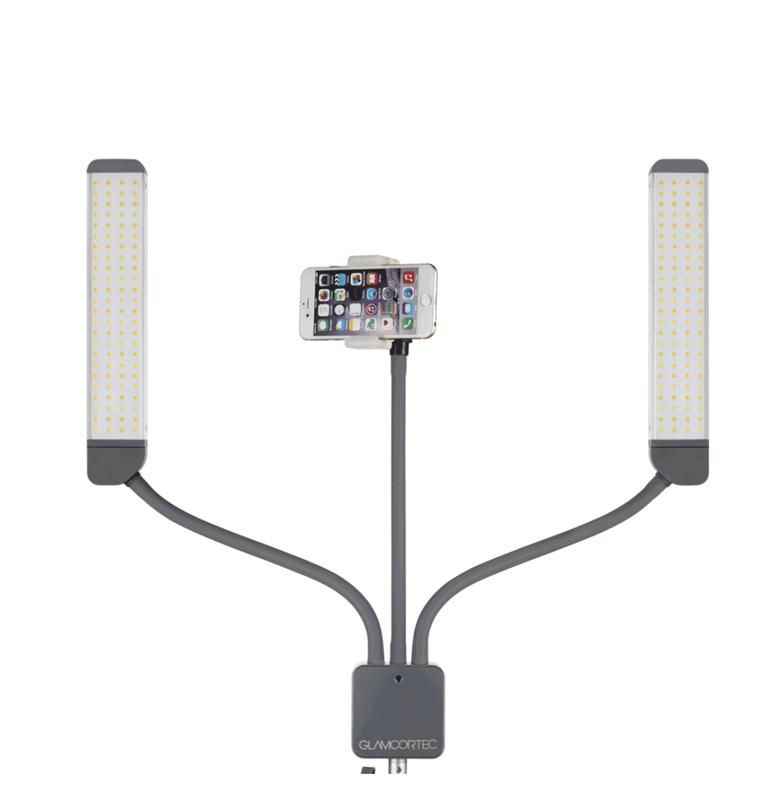 The MME is perfect for selfie lovers, YouTubers, bloggers, vloggers, and anyone else who needs to record their work or take a hands-free picture. Not only is the Multimedia Extreme a powerful light and portable studio, it also is extremely lightweight and durable. 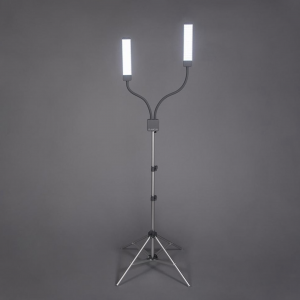 The detachable stand is easily adjustable and super lightweight – taking up minimal space and effort to travel with. 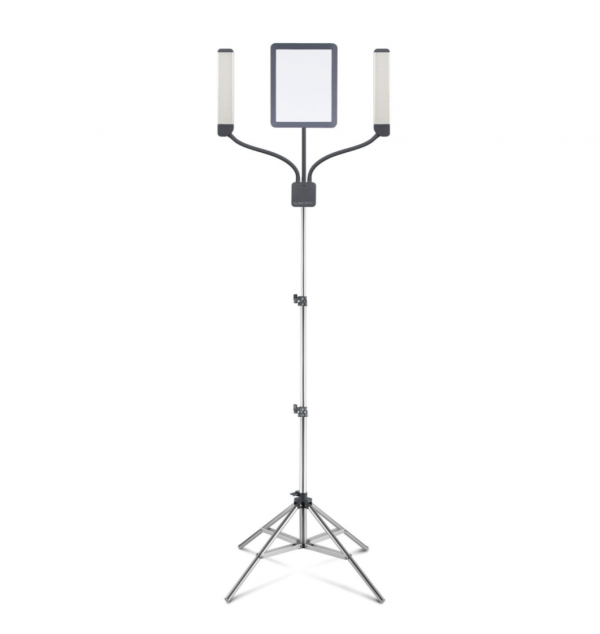 For makeup artists, tattoo artists, estheticians, and the like, being able to do your work in any environment is important – the MME makes this possible. 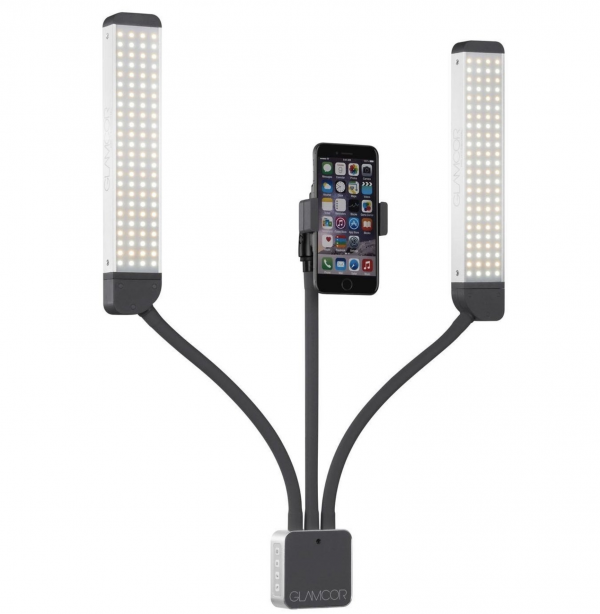 Loaded with powerful LED lights, the Multimedia Extreme illuminates your space instantly. 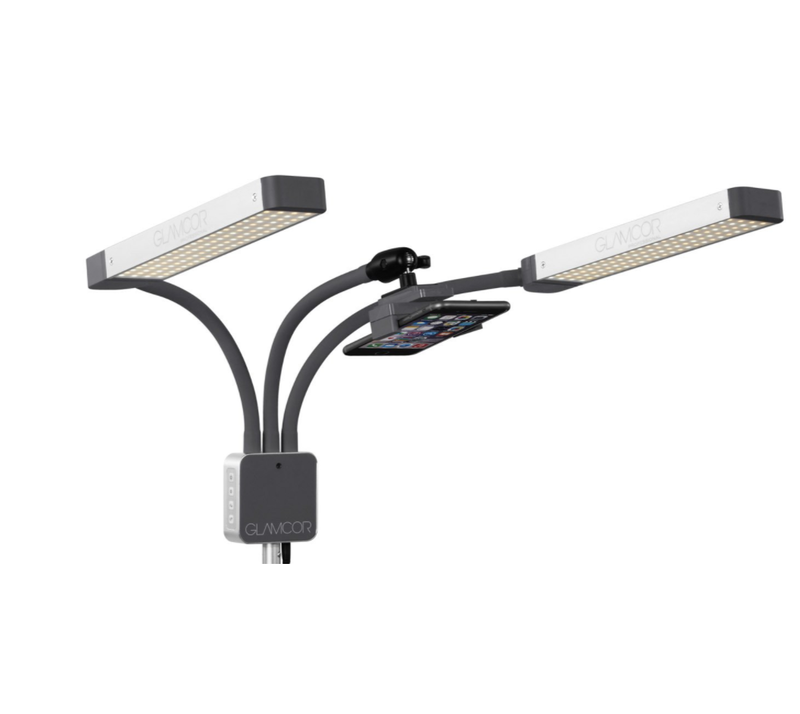 With color temperature adjustability ranging from candlelight to daylight, you can effortlessly transform the space in which you are working and adapt to any lighting condition you are thrown into. 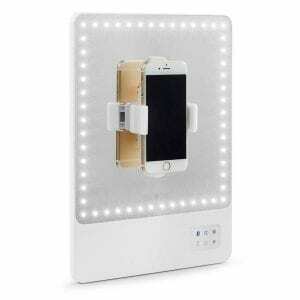 Comes with Phone clip, IPad clip and mirror.